Here we have both delicate light oolong tea types and dark oolongs of deep processing. 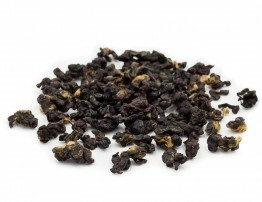 The aged 2014 Red Water Oolong (Hong Shui) is a vivid representative of deeply fermented and medium roasted tea. Therefore, it is perfect for black tea fans. But, unlike most black teas, here you will find powerful berry and spicy flavors - hints of cherries, strawberries, hazelnut, and cinnamon. Bug bitten oolongs should be specially mentioned as well as roasted oolong teas due to their distinct taste. These are Gui Fei and Peng Feng (Dongfang Meiren) Oolongs, they differ in the type of twist. 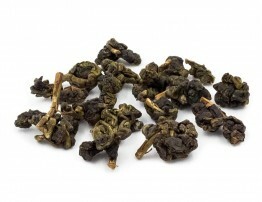 They are also called Oriental Beauty and Bai Hao Oolong. These teas are made from leaves that were attacked by the tea green leafhopper (Jacobiasca formosana). The insects usually come from the end of April to June. Their bites start the oxidation process in leaves which are still on bushes. 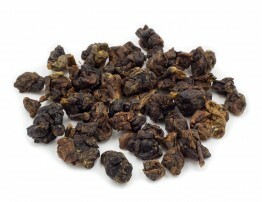 This results in distinctive honey-sweet, muscatel flavor which Oriental Beauty Oolong is famous for and why it got its Champagne oolong name. 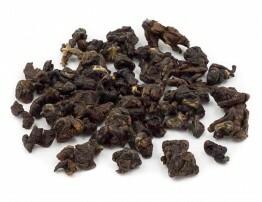 If you love dense and powerful taste with rich fruity and bready flavor profile of well-warmed tea, check out our Dong Ding oolong of high fire or the chocolate-coffee Lao Cui Yu 2006. 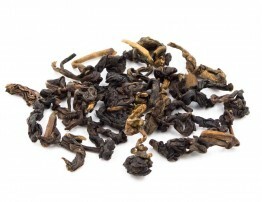 Assam oolong can be interesting for more broad-minded tea explorers. 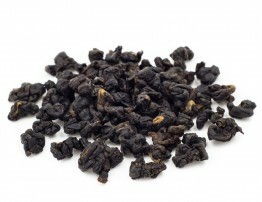 Thai terroir is ideal for oolong tea. In the mountains here are a lot of fog and much sun, which allows cultivating a truly delicious tea. It is also known that tea plant (Camellia Sinensis) is very picky about the quality of the land. Tea bushes and trees form a large vegetative mass of leaves and shoots that require a large number of nutrients and water. This is a very "gluttonous" plant. However, the wide cultivation of tea has begun in Thailand not long ago. Mountain lands suitable for tea gardening are not yet exhausted of fertility, unlike many places in China and Taiwan. That is why here in Thailand many factories produce organic tea because they have no big need to use hazardous inorganic fertilizers. Gui Fei Oolong also known as Oriental Beauty Oolong is produced exclusively from the leaves that have been bitten by green leafhoppers, usually in the period of May-June. In Thailand, farmers will con.. 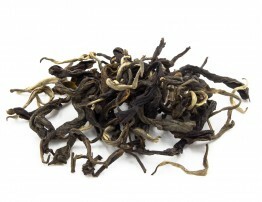 The taste is similar to the high-quality Dongfang Meiren, with the same honey notes. 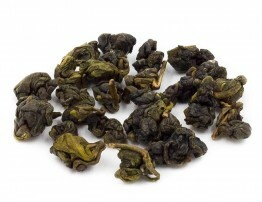 But this oolong is more oxidized, so black tea lovers will like it. Very drinkable and holds many infusions. I..
Lightly roasted Dong Ding oolong tea.Dry tea smells fresh, fruity and sweet. Rinsed leaves give more fruit then biscuits in aroma. However, light fruity flavor is complemented by creamy notes in the b.. 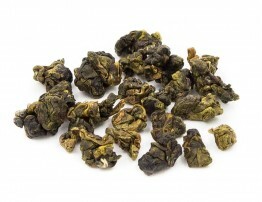 This is another oolong tea in our store assortment, which is processed in the traditional Taiwanese style of Dong Ding. We have also lightly roasted one and heavy-roasted one. Here is aged Dong .. This Dong Ding will appeal to those who like tea of quite strong fire. 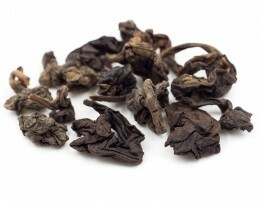 Some people find similarities between this tea and thoroughbred Wuyi Shan oolongs. The tea smells deliciously fruity, floral and.. This tea came from Myanmar (Burma). From the plantation, located at an altitude of about 2000 meters. Dry leaves aroma is intense. Flavor is sweet and floral with the savor of berries. It becomes .. Gives a pretty bright and thick floral taste. Floral density ends with tangy saltiness. 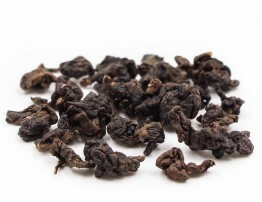 The aroma of dry and washed tea leaves easily passes into the taste. Organoleptic properties of the tea are very.. 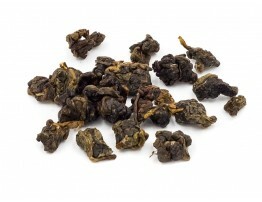 This is lightly roasted and lightly oxidized oolong tea of high quality. 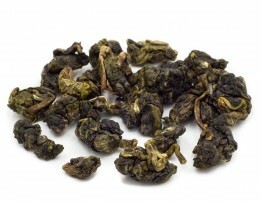 Truly masterfully made Si Ji Chun (also known as Four Seasons oolong). Glossy appearance of carefully rolled balls and power.. 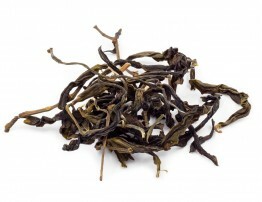 This tea can truly be called Lao Cha Wang - "old tea king". Despite the considerable age and annual roasting, the master managed to keep a dense and bright taste in this Aged Cui Yu (means “Green Jade.. Ideal tea for a snowy winter, when you want to remember the scent of the forest and warm up with red tea.Pine cone laced with fruit in the taste. Balanced tea.Absolute hit of 2016. Excellent value for.. 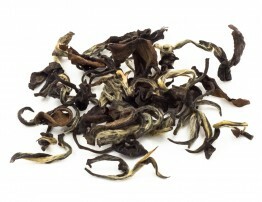 This Thai Gaba premium quality has a potent, sweet floral aroma. In the taste, there are sweet plums and pears with typical GABA-tones. Even when the tea is over, It still keeps sweet floral bouquet t..
Our Pouchong (Bao zhong) tea is made from Taiwanese cultivar Cui Yu Oolong (TRES #13). 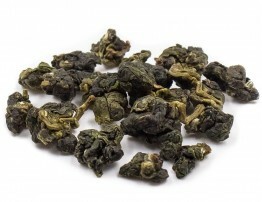 This tea will please those who like soft green or light oolong tea. 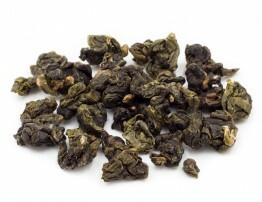 Fruity-berry flavor, oily (but not too much),..
Cui Yu Oolong (means "green jade") is a Taiwanese hybrid at the Tea Research and Extension Station it received number TRES #13. The tea passed the first stage of maturity and in taste significantly.. 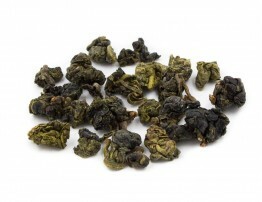 This is not just a winter harvest of Jin Xuan oolong. This is a special successful kind of Jin Xuan from one of our organic tea manufacturers.Bright and juicy berry caramel in the foreground.. Bright floral and berry aroma. The taste is very rich and dense with hints of caramel. There are no herbaceous or any astringent notes due to its well roast, but the taste is without bread or fried no.. 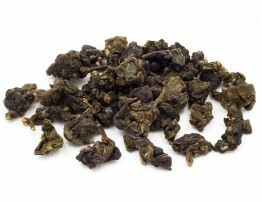 This is a lightly roasted and lightly oxidized classical Jin Xuan Oolong tea. The aroma is bright, with berry and milk caramel notes. The taste is dense and oily. In the dominant are berries and.. 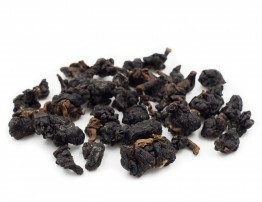 This oolong is made from old Assam trees from the forest. The average age of the trees is 300 years (though the age of some trees from this place can reach 800 years). The harvest of spring 2016 is pr..